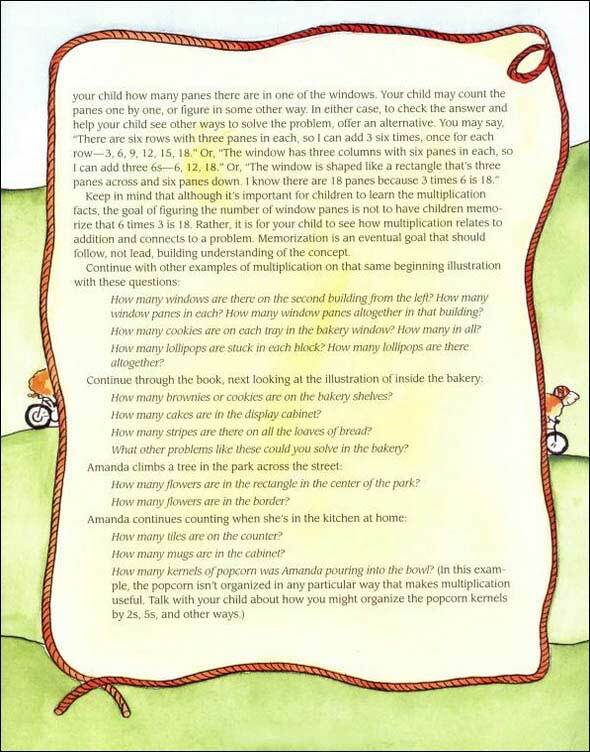 Amanda Bean loves to count but isn't sure about why she needs to learn multiplication. Her teacher says it will speed up the process, but she can't quite see it. That is, until she has a crazy dream full of sheep on bicycles, knitting grannies, and more. 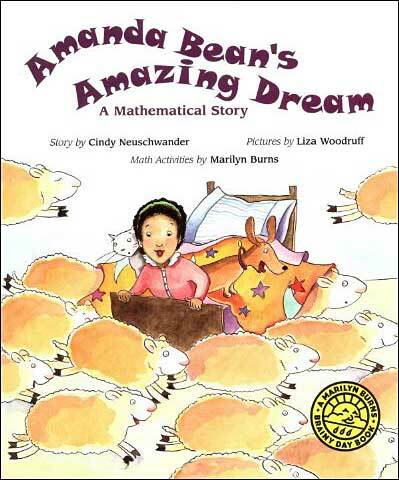 In the dream, she tries to count the sheep, balls of yarn, and sweater sleeves, but she can't count it fast enough. She then heeds the advice of the talking sheep and uses multiplication. When she wakes from her dream the next morning, she's excited to go to school... and she's ready to finally learn multiplication. 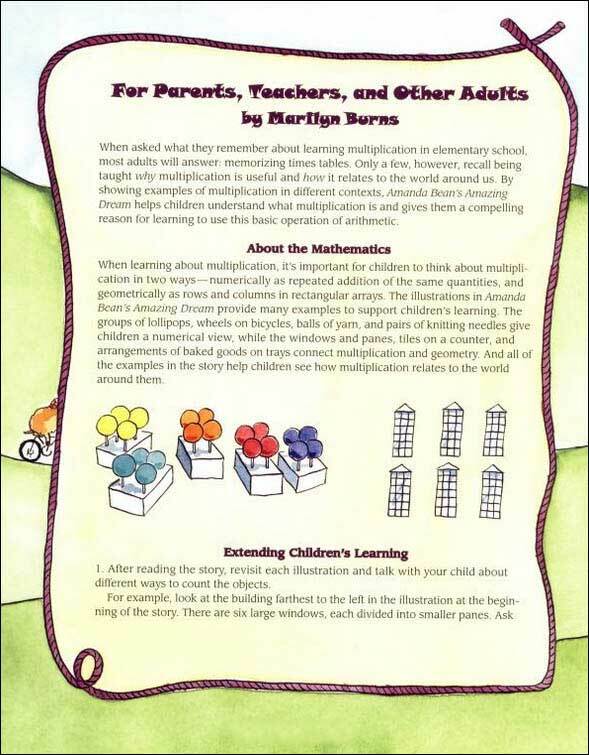 This book is best suited for very early lessons in teaching multiplication, as it deals with WHY multiplication is a useful math skill to acquire. 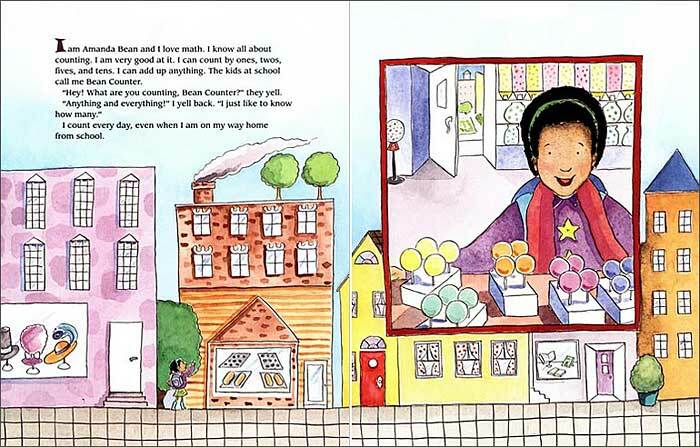 To be clear, this book does not teach HOW to do multiplication, just why it's better in certain situations.That's why we think it's really best for those very early lessons. For kids in first and second grade, this book will need to be a read-aloud rather than for individual reading, as the reading level will be too high for the majority of them. 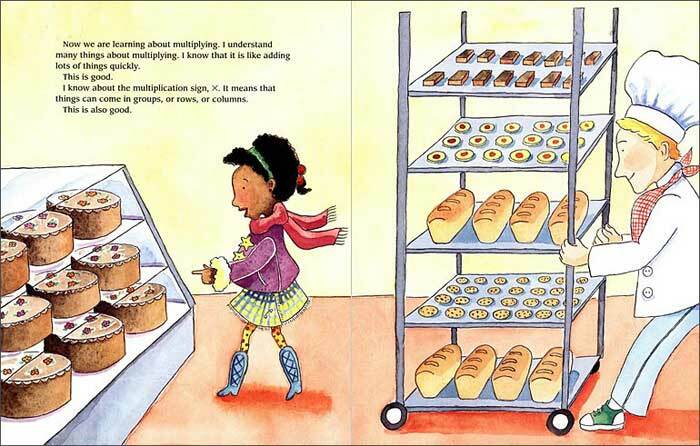 Some second graders may be able to read this book on their own (as the year moves on), and third graders should be able to read this one on their own. We love the adorable illustrations in this book. 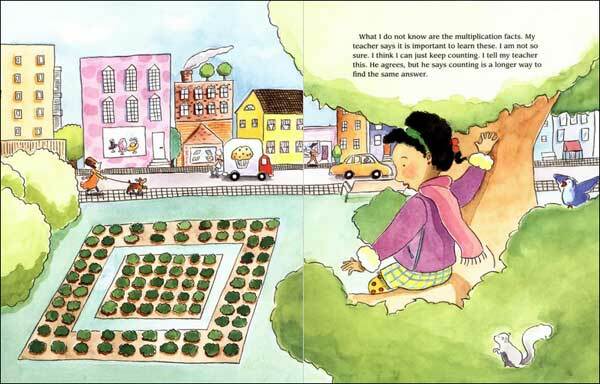 We know this is more of a teaching book than a just-for-fun book, but still, the illustrations are cute! The last pages in this book present three full pages of related lesson/activity ideas. 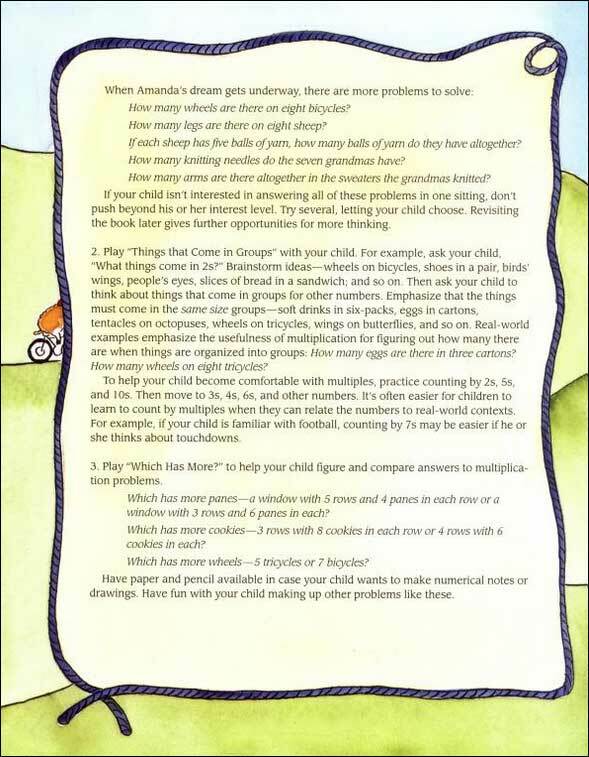 These math activities were created by Marilyn Burns, who is known for creating powerful book-related math activities. She is the creator of the "Marilyn Burns Brainy Day Books" and this book is the fifth in the series. If only all authors added this amazing teaching resource to the end of their books!! !